Major Cases • A case had been registered against Rampal under the charge of murder when a boy named, Sonu was killed in the 2006 clashes. • Rampal was booked under the charges of sedition, keeping illegal arms, motivating suicide mongers for not letting the police arrest him, despite the non-bailable warrant. 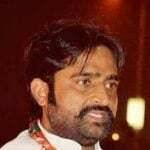 Controversy In 2006, he made a derogatory remark on Swami Dayanand's book, Satyarth Prakash, which the followers of Arya Samaj did not tolerate. The statement made both the sects come face to face. 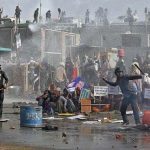 A man named Sonu was killed in the clashes, and around 60 others were injured, following which, the charges of murder and attempt to murder were slapped against Rampal. 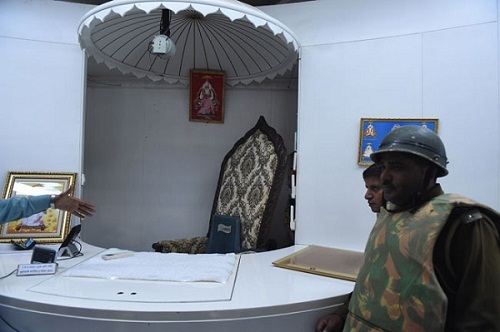 The SDM took Rampal's Ashram in Karontha under his influence. 25 people, including Rampal, were arrested. He had to stay in the jail for 21 subsequent months. 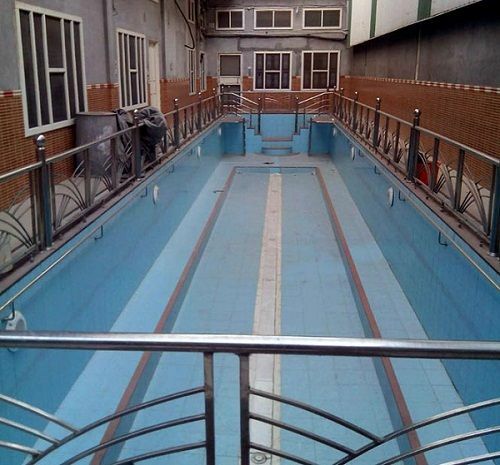 After coming out of the prison on a bail, he set his empire in Barwala, Hisar. 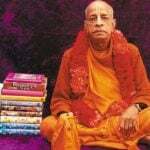 The High Court gave his Karontha Ashram back to him in 2009. 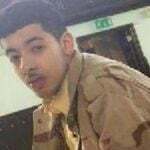 He then started taking things for granted as he did not appear in court regularly for the trial of the murder case. 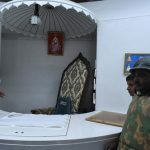 The clash broke out once again outside the Karontha Ashram in May 2013 when the Arya Samajis tried to attack it while police forces were around. This time, it took 3 lives and injured more than a hundred. Arya Samajis demanded Rampal's arrest and trial. In May 2014, when he appeared in front of the court through video conferencing, his followers created nuisance in the court premises. 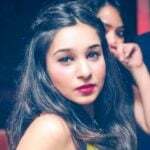 His followers once again interrupted the proceedings of the court in July 2014. Following this, the Punjab and Haryana High Court asked Rampal to appear in the court in the contempt of court case. Despite more than 2000 police personnel on the roads and imposition of section 144, a huge crowd, which turned out to be his followers, gathered in the city. Rampal again made no appearance before the court. Punjab and Haryana High Court then issued a non-bailable warrant against Rampal, in protest of which, his followers blocked the rail and road network in Ambala, Panchkula, and Chandigarh. When the police tried to detain him a couple of days later, his followers surrounded the Satlok Ashram making sure that no one could touch their God. The human chains that they made reportedly contained kids in the forefront, followed by women and then men in the background, so as to make police hesitate in taking any action. 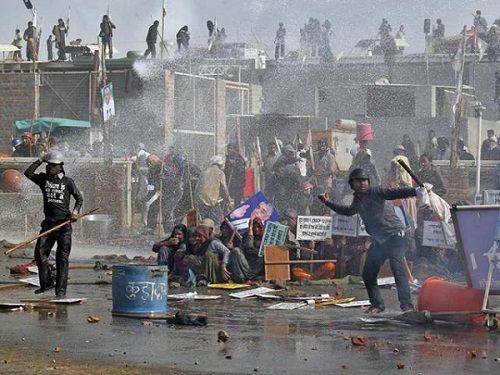 A ten-day stand-off between the security forces and Rampal's followers resulted in a number of innocent lives and injuries to the dozens. 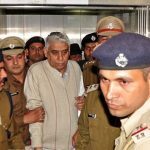 The operation finally closed on the night of 19th November 2014 when Rampal and 492 of his followers were arrested on the charges of motivating suicide-mongers, accumulating illegal weapons, murder, attempt to murder, conspiracy, and sedition. After passing out from ITI, Nilokheri, he worked as Junior Engineer in Haryana Government’s Irrigation Department. 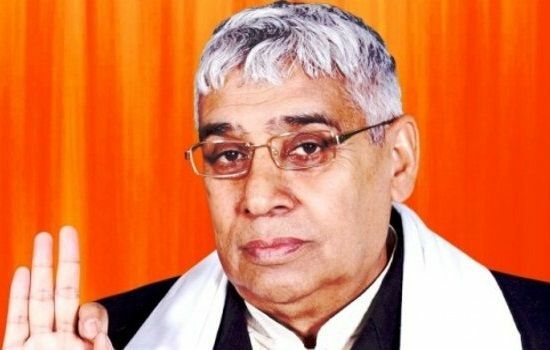 As a 16-year-old boy, Rampal met a Kabir Panthi called Saint Ramdevanand but took his lessons seriously while in the job. He was initially an ardent Hindu and was a follower of Lord Hanuman. Rampal, according to those who knew him personally, used to recite Hanuman Chalisa, seven times a day, and read a number of books on Hanuman. 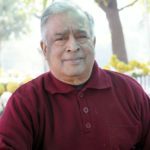 After having worked for the Haryana Irrigation Department for about 18 years, he resigned from his job in 1996 and started delivering religious lectures. In the earlier days as a preacher, Rampal used to attach a microphone to his motorcycle and drive it around towns and villages. The microphone blared the religious stuff. He used to get his Satsangs recorded without paying any money to the photographer. The latter, in an interview, anonymously said that he worked for Rampal between 1996 and 2003, for which, he rarely got paid. He was advised to earn the money by selling those photos to Rampal’s followers. 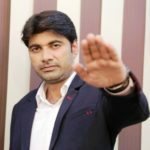 The photographer also told that Rampal had organised tours to Kashi and Triveni for around 5000 people and charged a whole lot of amount from them. With his growing fame, his Splendor bike was replaced with a Mahindra Jeep. He used to drive himself till he got himself a driver. Rampal calls himself as the successor of Sant Kabir, whom he considers the supreme God. Krishna Das, one of his disappointed disciples, wrote a book called ‘Shaitan Bana Bhagwan,’ a story of Rampal’s transition from a Junior Engineer to a Godman. 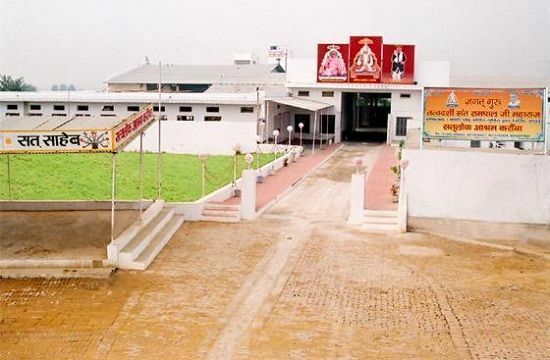 In 1999, Rampal laid the foundation stone of ‘Satlok Ashram’ in Karontha district of Rohtak. 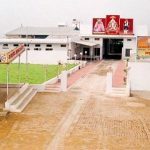 The Ashram is spread over 12 Acres of land. The milk that he used to bath with was used to prepare ‘Kheer’ as Prasad (blessed food) for the followers. 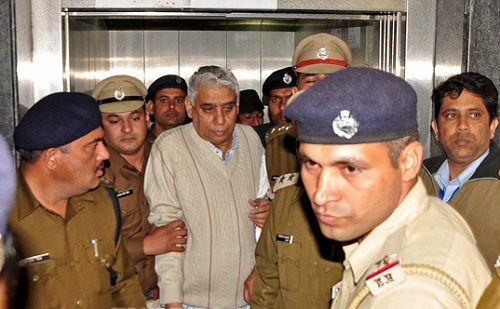 Rampal was living a lavishing life before being arrested in November 2014. 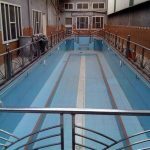 A five-story building which was spread over 70 Acres of land had a 25-meter long swimming pool, 24 air-conditioned rooms, massage beds, a number of flat-screen LED TVs, and gym equipment. He used to sit on a 12-foot high hydraulic chair that was kept in a bulletproof cabin. 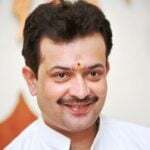 From there, he passed on his Kabir Panthi speeches to his followers. Rampal’s website reads that he is the spiritual leader, of whose birth had been predicted by a French Physician, Nostradamus. It says that the physician, in 1555 AD had said that exactly 450 years from then, a Hindu Sant (saint), 50 to 60 years old, will appear and will be talked of in the whole world. To further increase the already growing popularity of his sect, he had planned to construct an Ashram in Betul district in Madhya Pradesh, which was to cover as much as 70 acres of land. It had to have a capacity of about 50,000 people, two lakes, and state of the art super-structure. 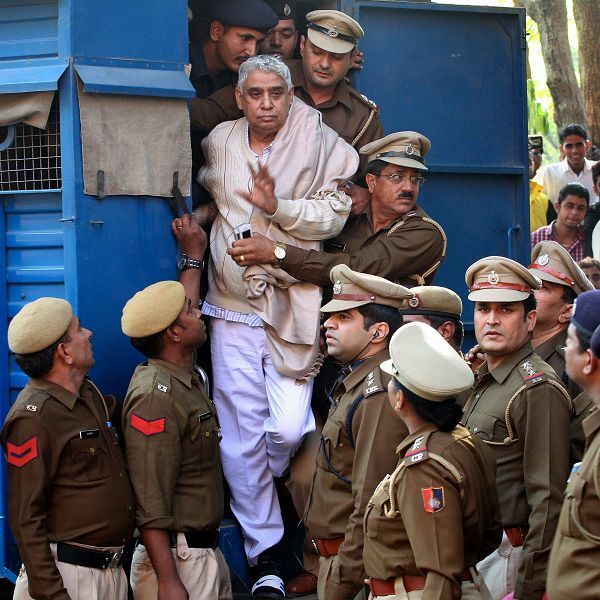 Rampal was acquitted by a local court in Hisar in two separate cases of rioting, unlawful assembly, and use of force, in August 2017. He was, however, kept in jail because of the trial being done in the murder case.